Van Cliburn Piano Competition gold medalist Vadym Kholodenko comes to Samford University’s School of the Arts Oct. 5 to perform as part of the Davis Architects Guest Artist Series and to judge the prestigious Fletcher and Nell Morris Piano Festival and Competition. The concert is at 7:30 p.m. in Brock Recital Hall. 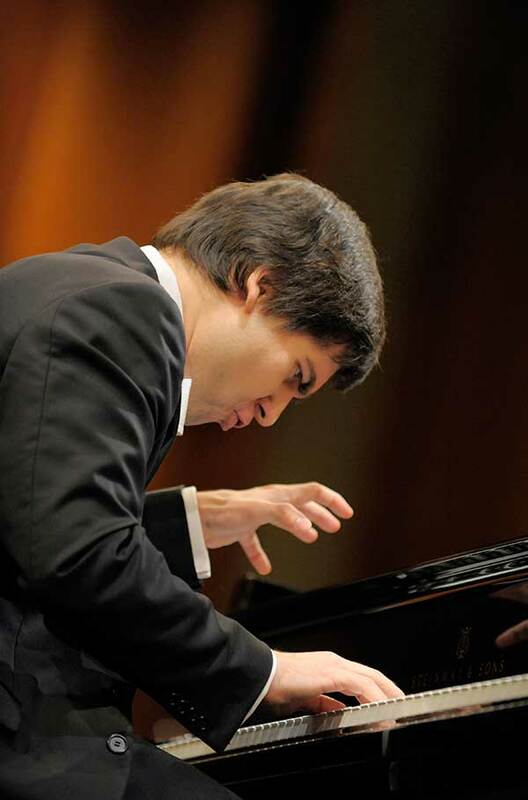 Kholodenko was the 14th Gold Medalist of the internationally famous Van Cliburn Competition in 2013 where he was awarded every special prize as well. He is the second Cliburn gold medalist to perform at Samford in recent years. The Morris Piano Competition was established by a bequest from the estate of Nell Gandy Morris. Fletcher and Nell Morris became interested in the piano program at Samford through their friendship with longtime faculty member Witold Turkiewicz. The Morrises decided to provide funding in their estate to establish a competition to encourage high levels of achievement in piano performance. The competition has a top prize of $5,000. The following School of the Arts students are performing and competing: Taylor Runyan, sophomore from McKinney, Texas; Stephanie Nork, junior from Parkland, Florida; Caleb Phillips, sophomore from Odenville, Alabama; and Olivia Jones, junior from Hoover, Alabama. Additional judges for the event include Ellen Elder, University of Southern Mississippi, and Ian Hominick, University of Mississippi. Kholodenko will conduct master classes with School of the Arts students in addition to judging the competition. The recital, master class and competition are all open to the public. The competition will be held at 8:30 a.m. and the master class will take place at 1:30 p.m., both in Bolding Studio on Friday, Oct. 6. The Davis Series brings highly acclaimed performers to Samford throughout the year, providing students and the Birmingham community an opportunity to enjoy world-class entertainment on Samford’s campus. This year, the Davis Series will also present opera singer Jamie Barton on Feb. 2, Chamber Music Society of Lincoln Center on Feb. 22 and So Percussion on March 20. For tickets to Davis Series events, visit tickets.samford.edu or call the Samford box office Monday-Friday from 11 a.m. – 5 p.m. at 205-726-2853.